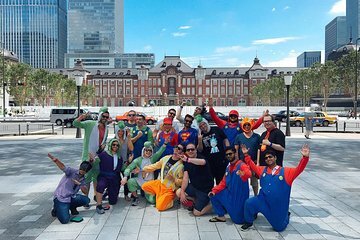 Get behind the wheel of a custom-made street go-kart dressed up in your favorite Japanese-inspired character on this tour. After a briefing on how to operate the karts, safely ride around the streets of Osaka with guides on a set course. The tour includes a drive to either the Osaka Castle or Nakanoshima, then through Namba, Nodahanshin Station, and Umeda in center of Osaka.